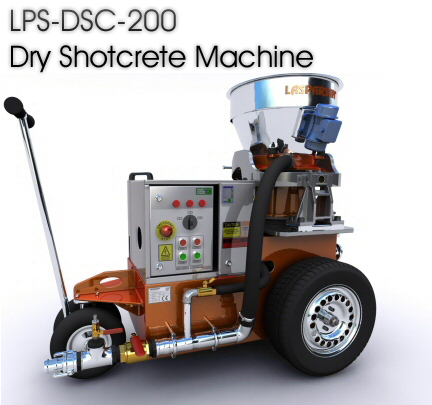 LPS-DSC-200 is a concrete pumping and spraying machine for light coating applications with reduced operating and owning costs. 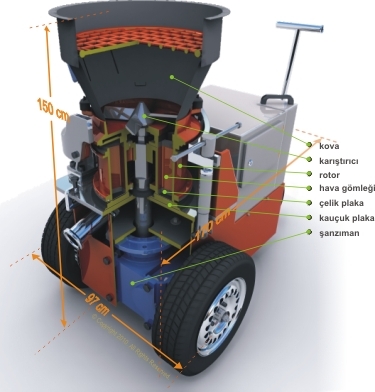 This machine can easily handle all popular types of shotcrete concretes containing different sizes and shapes of aggregates, gravels, crushed gravels and pebbles up to 20mm sizes with its unique rotor structure. Improved rotor geometry, high quality steel and rubber plates reduces operating costs due to electricity and air consumption. Special rotor lubricating system increases rubber and steel plates operating life. Water-proof electric control cabinet design, prevents leakage current and provides operator safety. Phase sequence protection, over and under voltage protection, over current protection, thermal protection are some of electrical safety features. All electric parts used for electric system, cabels, breakers, buttons, relays, etc are made by SIEMENS. Simple and service-friendly consumables reduces maintenance costs and time loss. 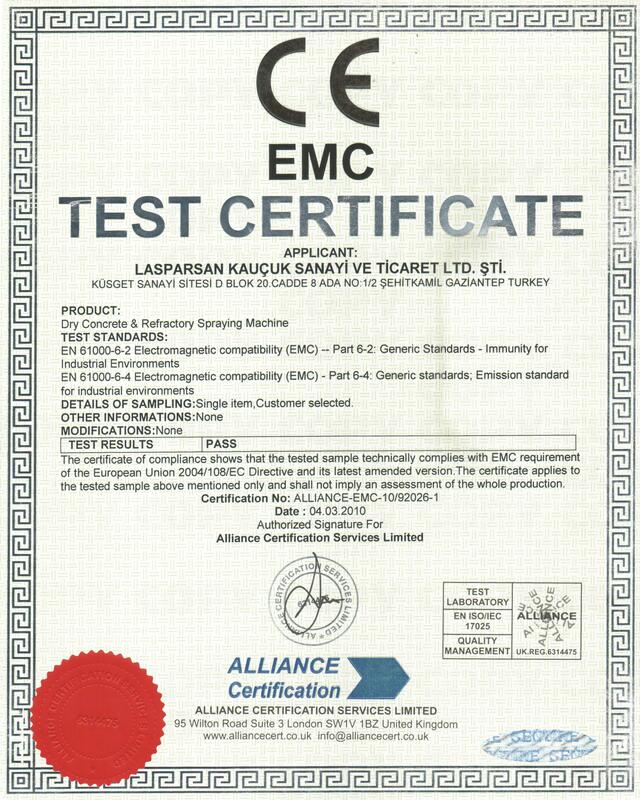 No need to qualified maintenance personnel for changing consumable spares, after maintenance no need to any calibration or adjustment. Compact design and small dimensions allow working at narrow tunnels and low ceilinged places. Plenty of consumable parts with long life and highest quality for low prices. 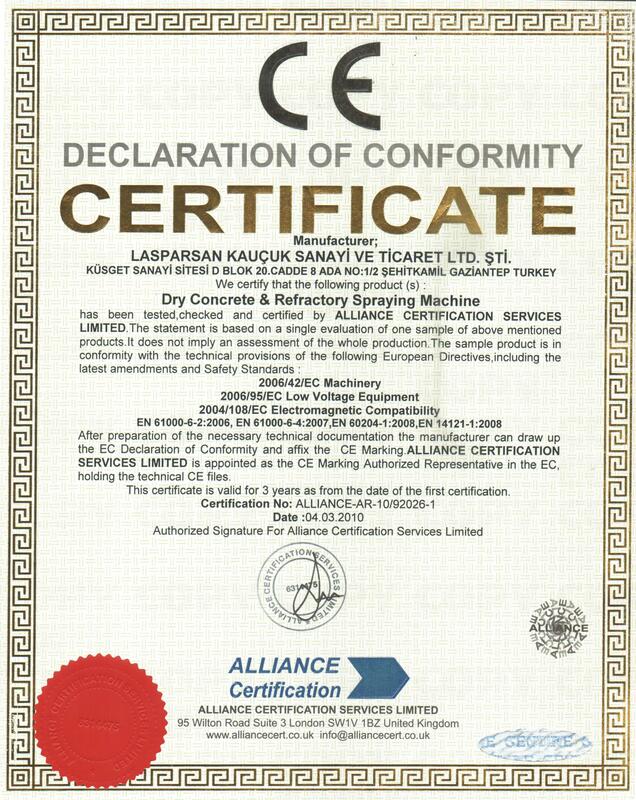 *Spraying capacity may vary due to aggregate size, shape, percentages of concrete mixture, other chemicals, humidity, thermal and weather conditions. Besides, air pressure, pumping distance, nozzle diameter also varies capacity. Theoretical spraying capacity is calculated by multiplying; streaming material volume in a constant time by rotor volume and revolution speed of rotor. Value is calculated for most common shotcrete mixtures. 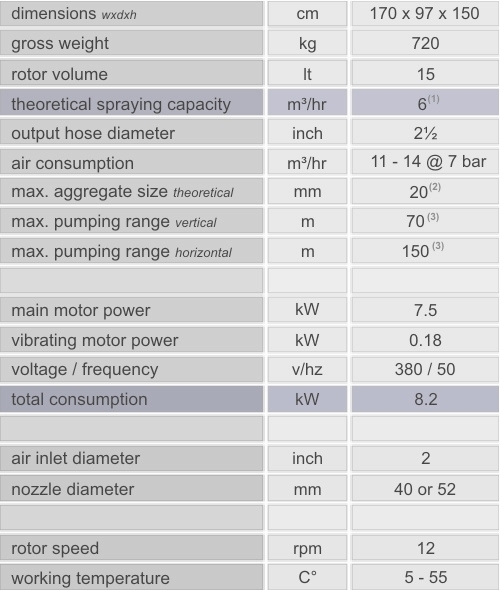 Spraying capacity is directly proportional to electrical consumption for a distinct gap. **Maximum aggregate size means, theoretically material size that can travel inside the rotor, plates, pipes, hose smoothly without any problem. ***Pumping distance may vary upon concrete type and aggregate size. Also air pressure affects delivering speed and amount. 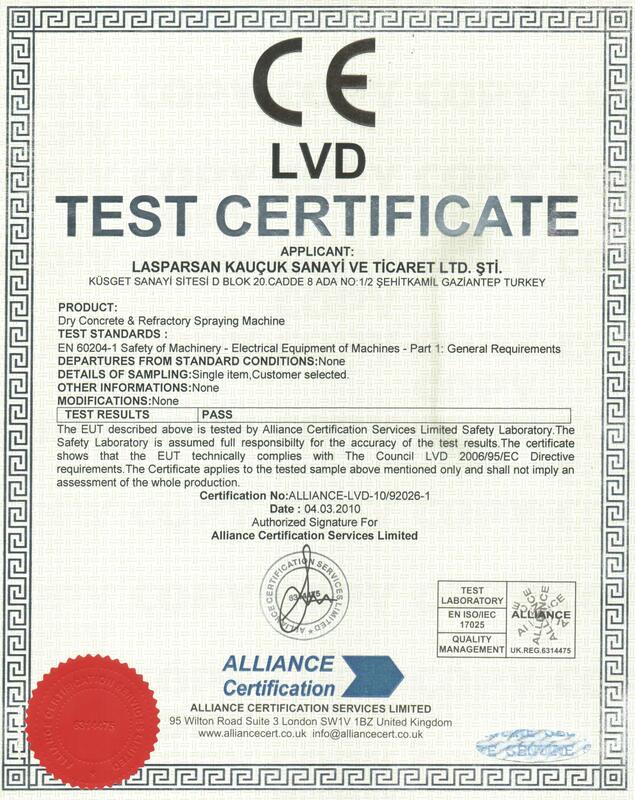 Lasparsan may change technical specifications of any machines or components of machines that announced on brochures, web site and other published materials without any notice to third parties.